Buy Cheap Gadget Insurance Online! Our gadget insurance will cover Smart Phone’s, Laptop’s, MacBook’s, iPads, iPhones, Tablets, Sat Nav’s, Digital Cameras and much more. Benefits include accidental damage, theft, liquid damage and unauthorised calls! Looking to buy cheap gadget insurance online? 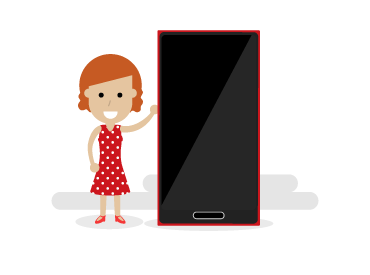 Review phone cover today to see if you can save on your existing premium. Take a few minutes to add up the cost of all the gadgets you own and the amount you stand to lose should they be stolen. Gadgets can be very expensive, so it may be worth your while paying a small premium each month in case of accidental damage or theft. With gadget insurance you can insure up to 5 items for the year at an affordable price. Flexible payment options are available. We recommend that you compare different levels of gadget insurance to ensure that you are getting the most comprehensive product at a competitive premium before purchasing online. You should also be aware of the exclusions which may apply to the policy, some of these are outlined below. Mobile phone insurance – A growing number of individuals now have smart phones whether it’s an iPhone’s, Samsung, HTC, Sony, Microsoft or Nokia. Mobiles can be very expensive so it may be worth your while considering taking out insurance. Please note; if you purchase a new phone from a retail outlet you are under no obligation to take out their insurance. We recommend that you shop around to get the best deal. Remember always read the terms and conditions carefully when comparing cover. Most policies come with exclusions, see below. Please read the policy terms and conditions to ensure you understand what is and what is not covered. An individual must be 18 years or over to purchase a policy. General wear and tear is not covered. Cover may not be available for the first 14 days. You will have to pay an excess amount in the event of a claim, this may vary depending on the insurance criteria. We have outlined some gadget insurance tips for you to review. Firstly don’t be persuaded to purchase gadget insurance from a retail outlet. Instead shop around to find the best deal. You may be surprised at how much you can save. The cheapest cover may not always be the best policy for you. So make sure you understand what is and what is not covered. If you do purchase insurance and then change your mind, by law you have a 14 day cooling off period. This will allow you to cancel the contract, but you must do so within this time frame. Store your gadget or phone receipts in a safe place, these will be required in the event that you need make an insurance claim. In the event that your phone is damaged or stolen, you must report this to your insurance and phone company immediately generally within 12 -24 hours. If the phone is stolen, you must also report this to the Garda Siochana. Make sure you provide the correct details when completing the claim form, as incorrect information may invalidate the claim. Finally if you are upgrading your gadget notify the insurance company as soon as possible to confirm details. Terms, conditions and limits may vary from company to company. Thank you for visiting our gadget insurance page, we hope we were able to save you time and money!